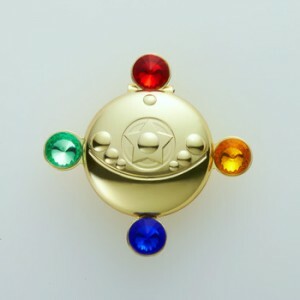 The Sailor Moon fan community, making fan fiction, fan movies, fan videos and more. 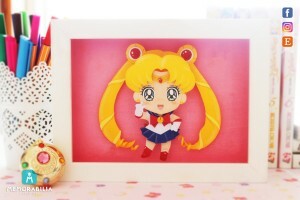 Here are some fun art pieces that might interest some Sailor Moon fans. 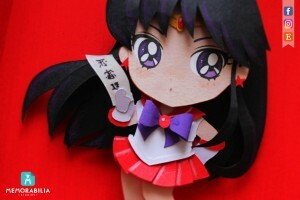 They are paper cut Sailor Soldiers. These are made out of small cut and assembled pieces of coloured paper put together in a frame. You can order them from the Memorobelia Studios Etsy shop. These are individually made by artists Ale and Matt. They aren’t cheap, costing from 80 to 95 euro (about $90 to $106 US) but the cost reflects the hard work that goes into them and looks to be worth it based on how nice looking these are. 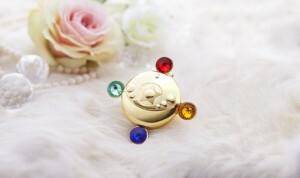 Right now you can order Sailor Moon, Sailor Mercury, Sailor Mars, Sailor Jupiter or Sailor Venus. Which is your favourite? Learn more about these from the Memorobelia Studios Tumblr, Facebook and Instagram pages. 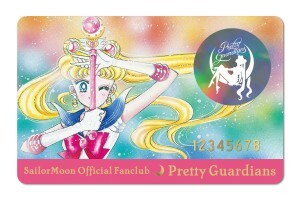 Good news for Toronto Sailor Moon fans who can’t get enough Sailor Moon related events. A Sailor Moon Pop Up Cafe is coming on July 30th. The event will run from 1pm to 6pm on the Saturday at the Imperial Tea Room at the Hirut Cafe at 2050 Danforth Avenue. 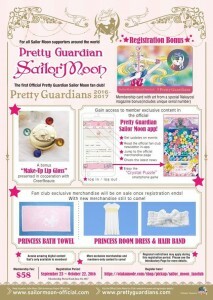 A Sailor Moon themed menu, including Sailor Moon Parfait, Cupcakes, Cookies and Sailor Guardian drinks, will be served. There will be an art and colouring competition, karaoke and more. Check out the Facebook event for more details. Tickets are $15 and can be purchased at the Imperial Tea Room. Will any of you be attending this event? Who loves Donald Trump? Anybody? 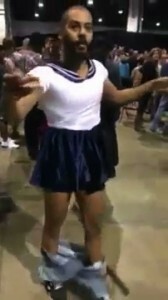 A Donald Trump rally seems like the last place to find a Sailor Moon Cosplayer, but that’s what just happened this past Sunday in Atlanta. 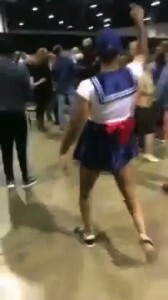 Artist and comedian Zack Fox, known as bootymath, stripped off his street clothes to reveal a Sailor Moon costume! 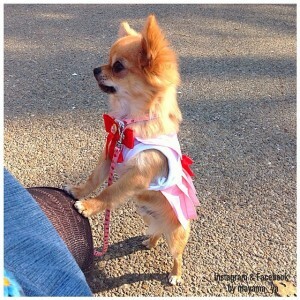 He was chearing “U.S.A.! U.S.A.!” and I assume he would have completed it to “U.S.A.G.I.” had he not been escorted out by police. The incident didn’t seem to be all that alarming. There was no ensuing chaos. bootymath seemed almost out of place absent of some sort of intense backlash by the masses that should have been shocked by his display. You can watch a video of the event below. Sailor Moon stands for love and justice. Donald Trump stands for hate and corruption. 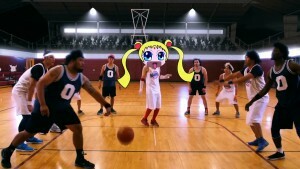 What would Sailor Moon have done in this situation? She would probably have healed Trump and his followers with the Silver Crystal, leaving nothing but confused peace loving hippies, dramatically impacting the outcome of the upcoming primaries and presidential election. 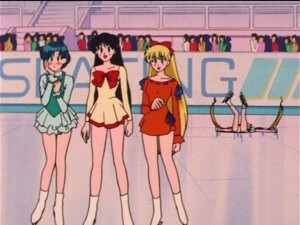 This didn’t happen of course, because Usagi isn’t even a registered US voter and if she was real she would be Queen of Crytal Tokyo by now, and so the circus that is the Republican Party presidential primary continues. An upcoming Sailor Moon inspired video game is looking for funding on Kickstarter. 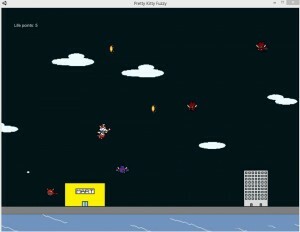 Pretty Kitty Fuzzy is a 2D shooter starring a cat which is based on magical girl anime like Sailor Moon and a real life house cat named Fuzzy. This is a retro style game inspired heavily by SNES era 16 shooters. Pledges as low as $5 can get the game, though pledging more will lead to special incentives. The game will be made for Windows, Mac and Linux if $2000 is reached, though there are stretch goals if more funds are collected. Incentives include a manga, poster, t-shirt and soundtrack. Stretch goals include an animated opening, an extra mini game and possible ports to other systems. To follow news about this game check out the Ninja Gate Studio home page, Twitter feed and the game’s Facebook page. 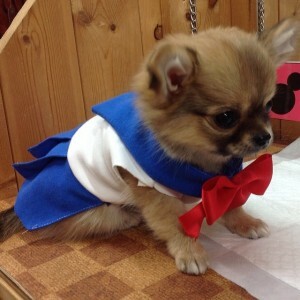 Today is International Sailor Moon Day. Is your city doing anything to celebrate? 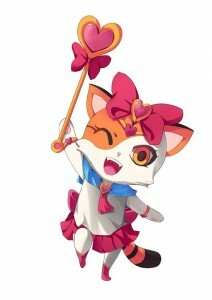 Today, August 15th 2015, is International Sailor Moon Day. 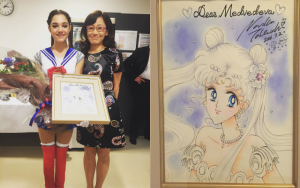 This event is not confined to any single city as many cities around the world are celebrating small Sailor Moon gatherings in their own cities. 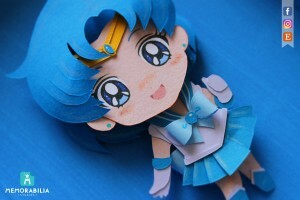 Check out the Sailor Moon Day web site or Facebook page to see if your city has anything planned. Put your best costume on and head out to have some fun with other fans. Here’s a list of cities involved from the official Sailor Moon Day site. I’ll be traveling today and since there isn’t a Trois Rivières Sailor Moon Day event I won’t be able to join in but I hope everyone has a great time in their own city!